SUBHEAD: Most of senior staff of US State Department quit Trump Administration. 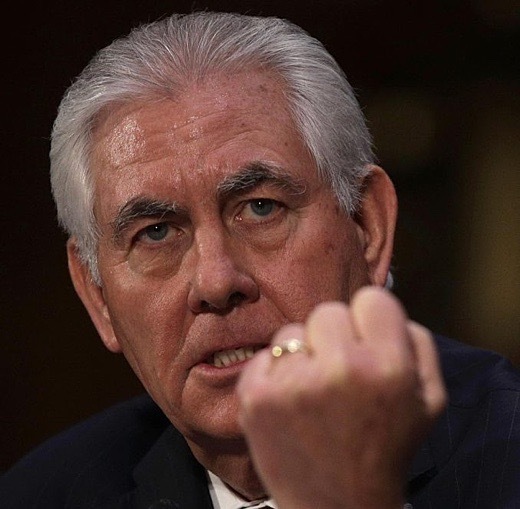 Image above: Tillerson making a fist during his Senate committee hearing. From (https://www.thesun.co.uk/news/2713072/rex-tillerson-donald-trump-secretary-of-state-managers-quit-on-mass/). Then suddenly on Wednesday afternoon, Kennedy and three of his top officials resigned unexpectedly, four State Department officials confirmed.